Do you know that adrenalin rush that slowly manifests itself in your body when you realize that something is not were it’s supposed to be? The classic scenario is when your expensive phone isn’t in your pocket or bag. You start slapping your pants where all the pockets are but nothing. Eventually, you find it on the floor, sofa or any other usual place. Your nerves calm down and you can go on with your day. But what if you’re not that lucky and it’s definitely stolen or lost? Thankfully there are some ways to find your phone even if you haven’t installed any anti-theft or tracking apps. Before I start showing you how to find your lost phone, I want to add that this method isn’t always successful. Certain requirements and phone settings must be met. 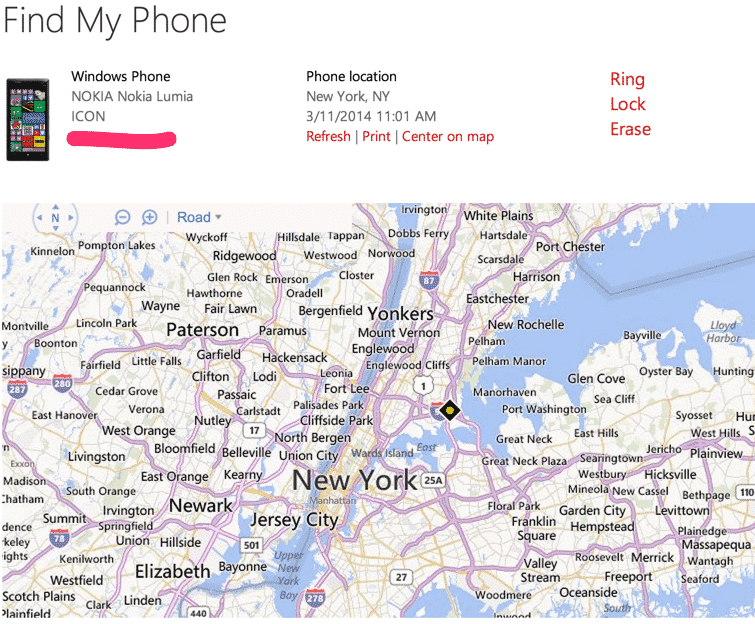 Windows’ own tracking tool called ‘Find My Phone’ is the best way to locate your lost phone. It’s basically the equivalent of Android’s Device Manager. But there’s a catch. 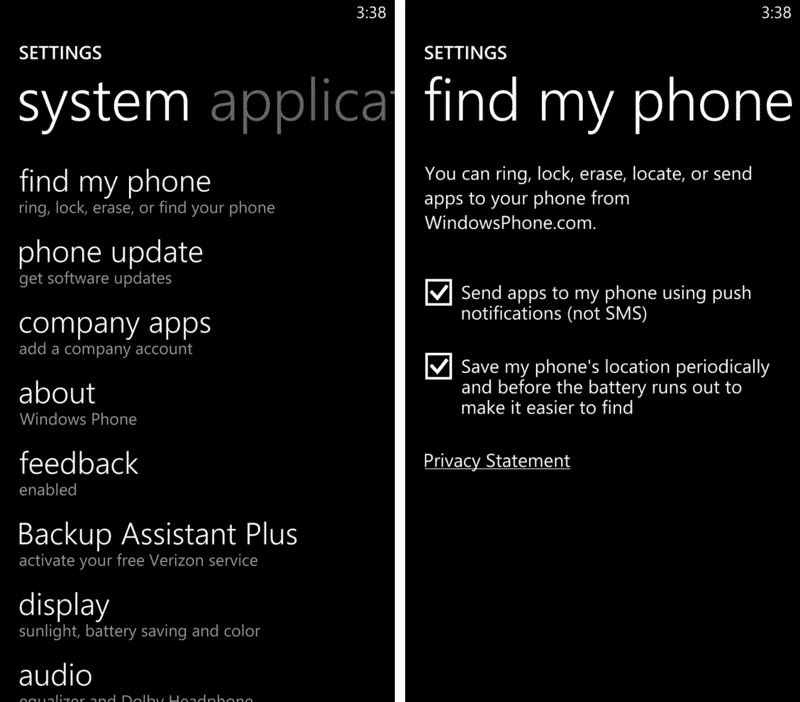 You must have enabled Find My Phone in your Windows phone’s settings beforehand. If you’re sure you didn’t then you won’t be able to find your phone with that tool. As of today, this is the only reliable way to locate a Windows phone. If you did enable it, then go ahead! Go to windowsphone.com and log in with your Windows account. After the login, a map is displayed and Find My Phone should start locating your phone automatically. Should you don’t see any location, click ‘Refresh’ a few times. Once you’re phone has been located, you can trigger an audible signal by clicking on ‘Ring’. If, according to the map, your phone is in hearing distance, you should be able to find it that way. You can also lock your phone (select ‘Lock’) with a password and display a message on the display. If you weren’t able to locate your phone at first, don’t give up yet. Your phone could be off or not connected to the internet at the moment. Should someone find it and turn it back on, you might be able to locate it again. In case you lost all hope and fear that someone else might go through all private data on your phone, you have the option to wipe all data and revert everything back to factory settings. Simply select ‘Erase’ and follow the instructions. Be aware that once that’s done, you won’t be able to locate your phone anymore. I hope you’ll be able to get your Windows phone back! If you do, please leave a short comment. Plus, should you know another way to locate a Windows phone, let us know!